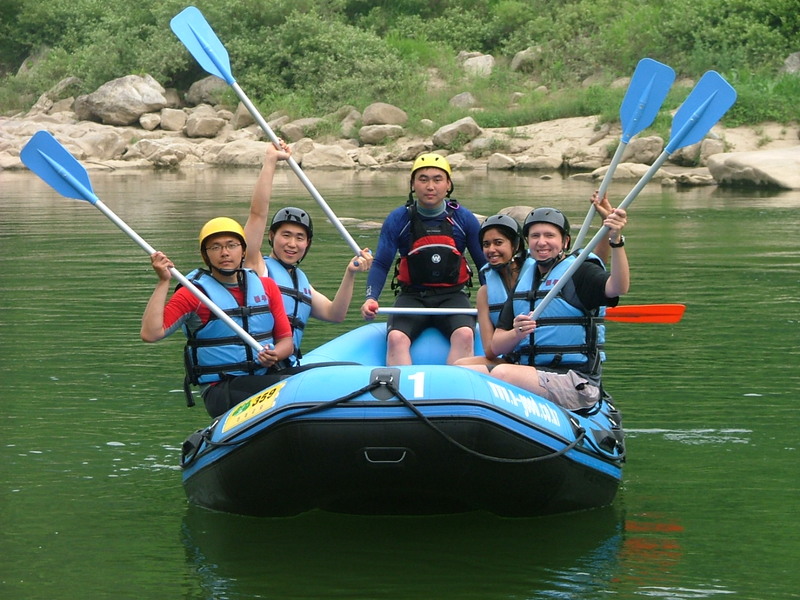 The first time Jason and I ever went rafting was in the Naerincheon Stream of Inje, South Korea. Back in Canada, I had always had a strong desire to try my hand at rafting. Unfortunately, the opportunity never arose. When we came to Korea, it was definitely the beginning of a new and adventurous chapter in our lives! 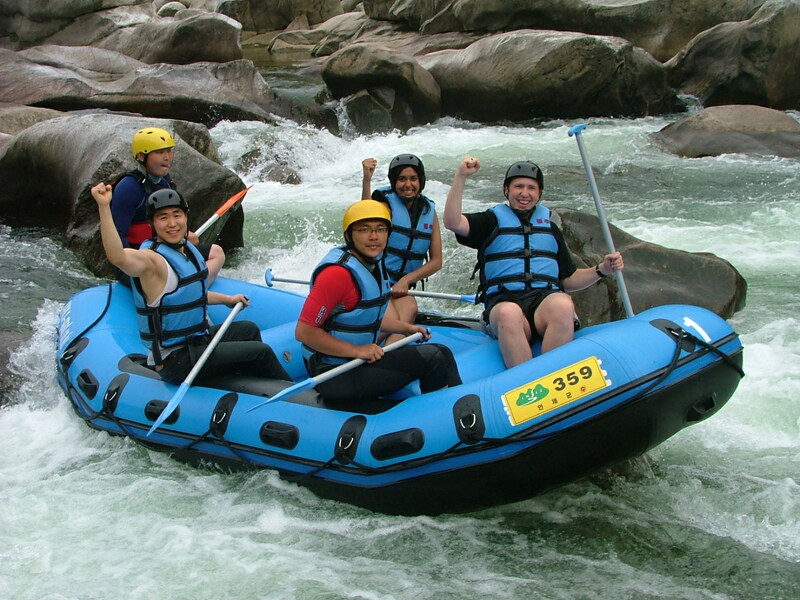 The first big adventure we embarked on was rafting. 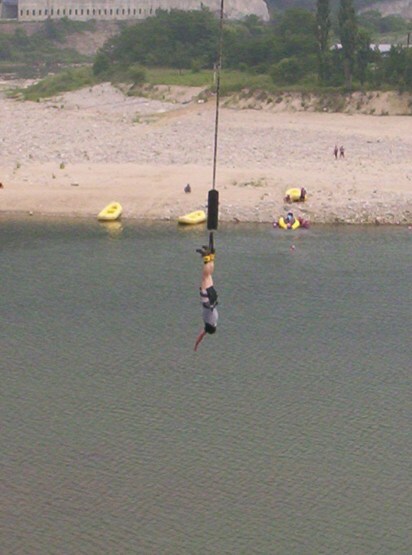 We met some really nice Koreans, who also shared the same enthusiasm for adrenaline-pumping activities like us. Our rafting instructor was an extremely fun, knowledgeable and entertaining guide. 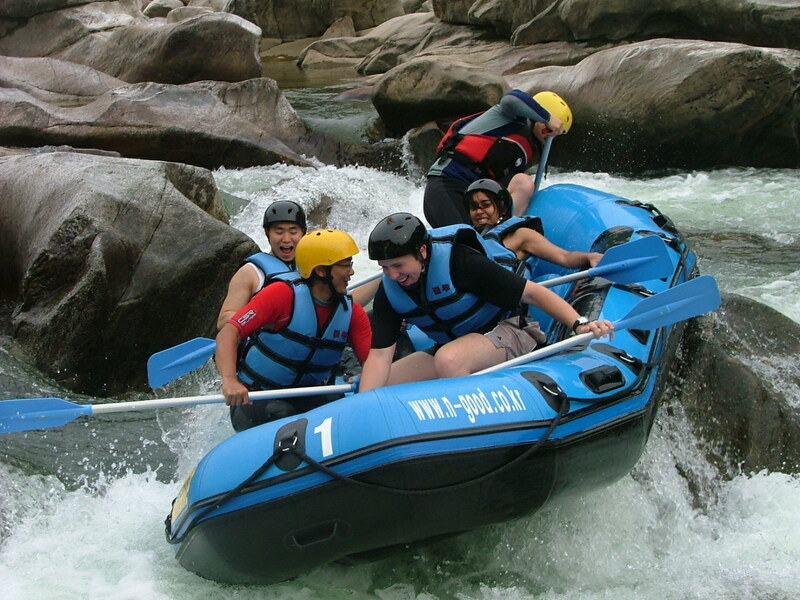 The Naerincheon Stream has some of the best rapids and surrounding landscapes in South Korea. The quality of rapids are so amazing, that the stream was chosen as the location for the 2007 World Rafting Competition. As we rode the waves down this magnificent stream, we enjoyed the white waters as well as the beautiful nature. Our rafting trip could not have been better. It was extremely fun. It was one of the best outdoor activities we had ever done!